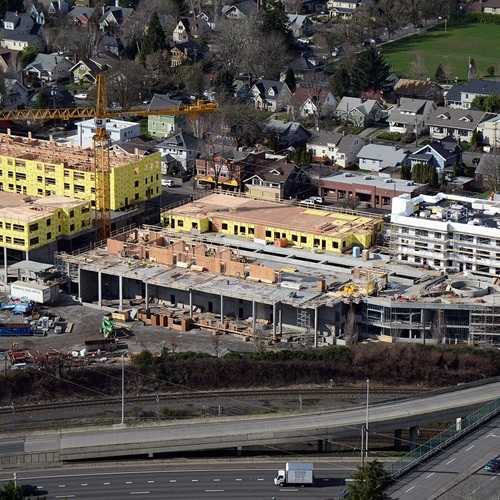 Matheus Lumber is providing all the framing lumber and engineered wood for this unique multi-use project in Portland, Or. The five-story project is situated on the former Albina Fuel site on NE Broadway Avenue at NE 32nd Avenue and will have 211 apartments. Walsh Construction is the general contractor on the project, and Wood Mechanix is the framing contractor. Construction began in June, 2013. 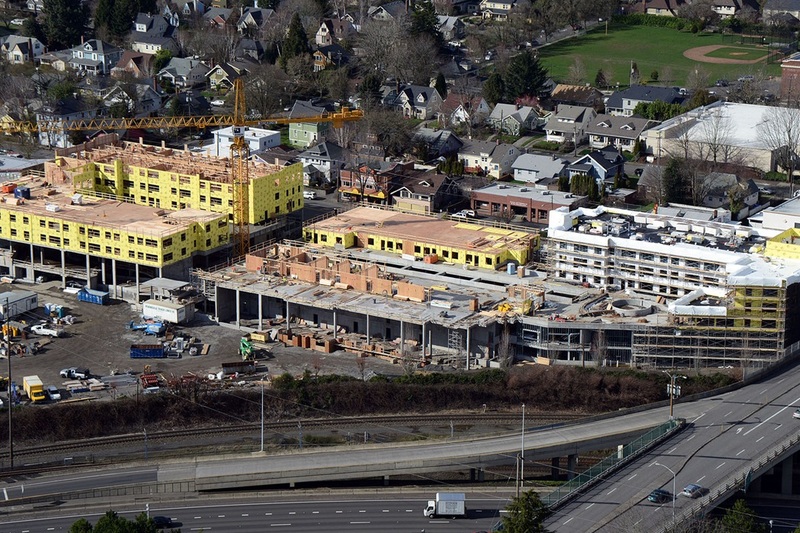 The apartments are arranged in four separate buildings on the podium, with a common terrace and 45,000 square feet of retail area, of which New Seasons Market will take 34,500 SF for a new store. The project includes 270 parking stalls on two levels connected by a ramp, as well as 330 total bicycle parking stalls. Matheus Lumber's Vancouver, WA office oversaw this project, and continues to provide lumber, engineered wood, and form board to projects throughout the United States..